Introduction. Learning Bilingual Word Mappings. IBM Model of Alignment. Phrase-Based Machine Translation. Rule-Based Machine Translation. Example-Based Machine Translation. Pushpak Bhattacharyya is Vijay and Sita Vashee chair professor of computer science and engineering at the Indian Institute of Technology (IIT) Bombay, where he has been teaching and researching for the last 25 years. He was educated at IIT Kharagpur (B.Tech), IIT Kanpur (M.Tech), and IIT Bombay (Ph.D). While earning his Ph.D, he was visiting scholar at the Massachusetts Institute of Technology. Subsequently, he has been visiting professor at Stanford University and University of Grenoble, and distinguished lecturer at the University of Houston. 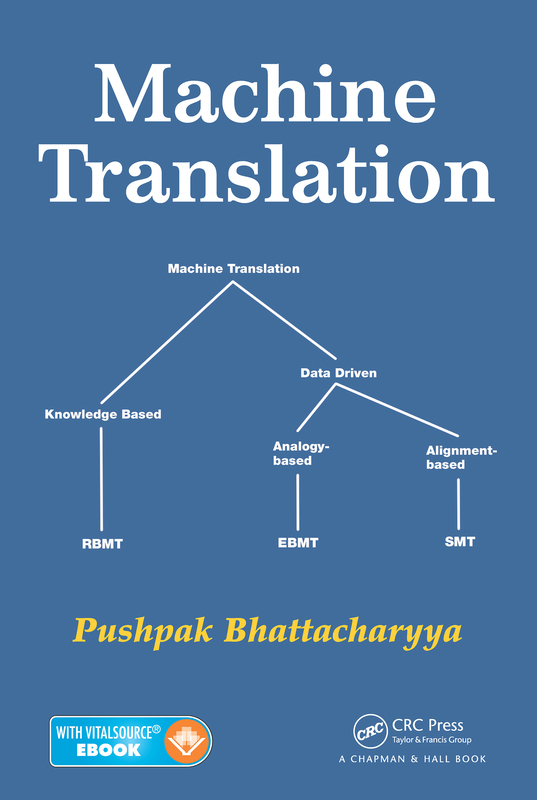 Dr. Bhattacharyya's research interests include natural language processing, machine learning, machine translation, information extraction, sentiment analysis, and cross-lingual search, in which he has published extensively. Currently, he is associate editor of ACM Transactions on Asian Language Information Processing and vice president-elect of Association of Computational Linguistics (ACL).